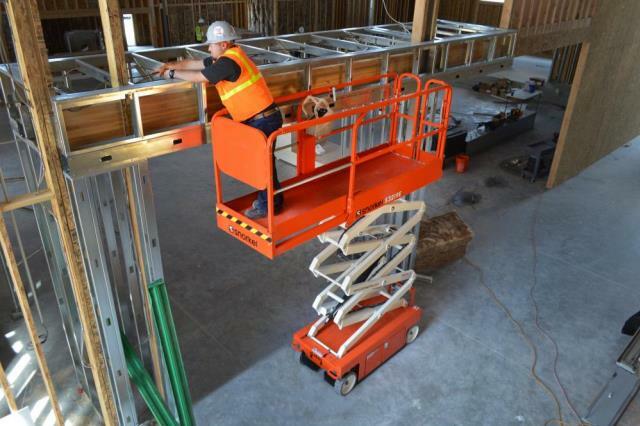 - 26' Platform height - 32' working height. - 91" total length x 32" total width.....will pass through a 91" tall door. 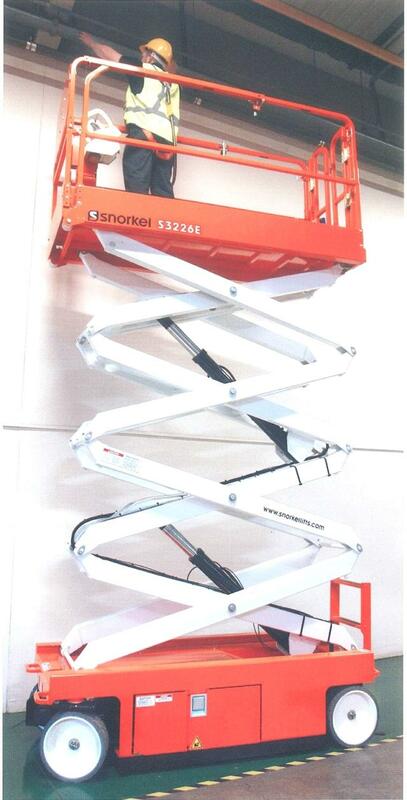 - 86" long x 26" wide platform length with an additional 36" slide out extension. - 30" Inside turning radius. - 93" Outside turning radius. - Drivable at full 26' height. 24v DC battery powered...must be plugged in every night to recharge batteries. 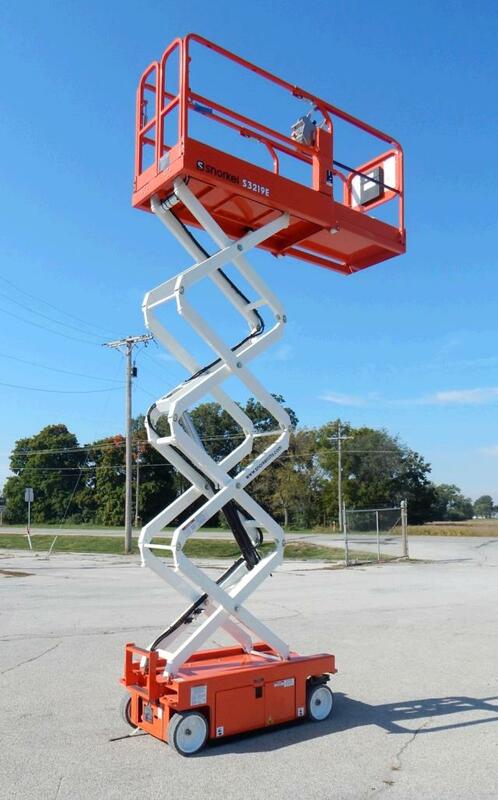 * Please call us with any questions about our scissorlift 26 foot x32 inch snorkel rentals in Oak Grove MO, Blue Springs MO, Independence MO, Lexington MO, Odessa MO, Independence MO and Western Missouri.